Seven Card Stud is one of the oldest forms of poker still played today, by both professionals and poker enthusiasts. 7 Card Stud is played in online poker rooms, land-based casinos and often in home games, as well. 7 Card Stud can be played in Fixed Limit, No Limit and Pot Limit; however Fixed Limit is the most common option and that’s what I’ll be focusing on in this guide. Stud uses a single, standard 52-card deck and a game can contain anywhere from 2 to 8 players. The object of 7 Card Stud is quite simple – each player will receive 7 cards throughout the hand with which to create the best possible 5-card poker hand. 3 cards are dealt face down so only the player can see them and the other 4 cards are dealt face up so everybody can see them. 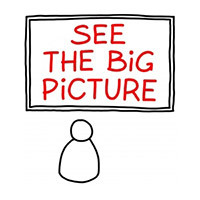 There are no “community” or shared cards dealt in the center of the table (like there is in Holdem) so the only cards you can use are the ones that are dealt to you. The highest ranking hand at the end of the hand wins the pot. As mentioned above, stud is most commonly played in a Fixed Limit format, which is different to Holdem games which are more commonly played in No Limit (or Pot Limit) format. 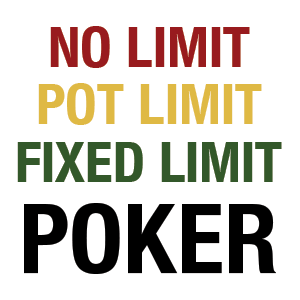 Fixed Limit means a player must place all Bets or Raises in a pre-determined increment which is related to the stakes of the table, for example at a $1 / $2 table. For the first two betting rounds (3rd and 4th Street), bets must be in increments of the low-end stakes of $1. Bet $1 -> Raise $2 -> Re-Raise $3 etc. The final three betting rounds (5th, 6th and 7th Street) require bets / raises in increments of the high-end stakes of $2. Bet $2 -> Raise $4 -> Re-Raise $6 etc. In Stud Poker, a dealer button is used to mark the theoretical dealer before each hand begins. This is important as it dictates the order that the cards are dealt with the first card being dealt to the player to the left of the dealer button. 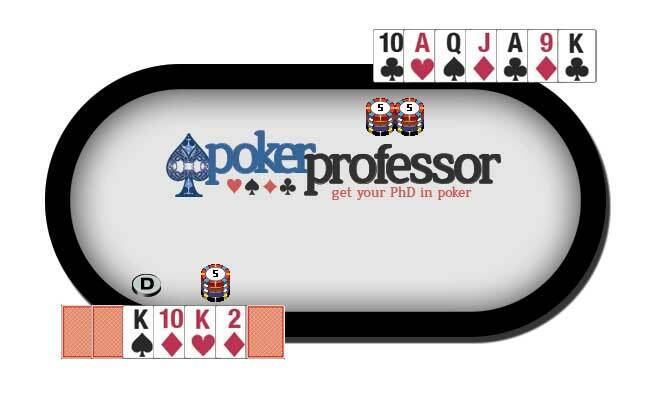 Before the start of each hand, every player must place an “Ante” into the pot. This small amount ensures that there are chips to be won in every hand. The Ante varies somewhat, but is generally 10% to 25% of the low-end stakes, so for example at a $1 / $2 stakes table then the Ante would be around $0.10. After each player has placed their Ante Bet into the pot then each player will be dealt 3 cards. 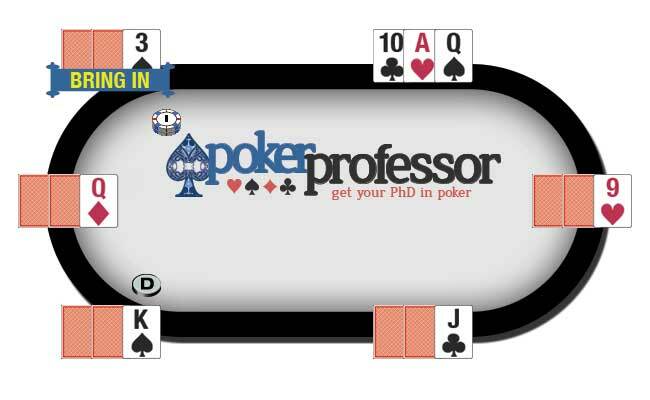 The door card is important as the player who has the lowest door card must place a “Bring In” bet into the pot. If two or more players have the same lowest card then it is decided by the player with the lowest suit. Suits rank lowest to highest in alphabetical order – Clubs (lowest), Diamonds, Hearts, Spades (highest). The bring in bet can also vary, but is most often equal to half of the low-end stakes, so for example at a $1 / $2 stakes table then the Bring In would be around $0.50. Once the Bring In bet has been placed then the first round of betting begins, starting with the player left of the bring in player. Call: When a player has placed a bet before you, you may call by placing an equal amount of chips in the pot. In this case it will be the bring in bet amount unless another player has already raised that bet. Raise: You may raise by placing an equal amount to the previous bet (a call), followed by an additional equal amount (the raise). After a raise is made all other players must match the raised bet or fold (or raise again!). When betting comes back around to the bring In player, he has already placed the bring in bet, therefore may call the current bet by adding enough chips to his bring in bet to equal the full bet amount, or may raise if he so wishes. Each player is dealt a fourth card, face-up for everybody to see. The next round of betting begins, same as the last, except that the player showing the highest open (face-up) hand must start the betting in every round from here on out. 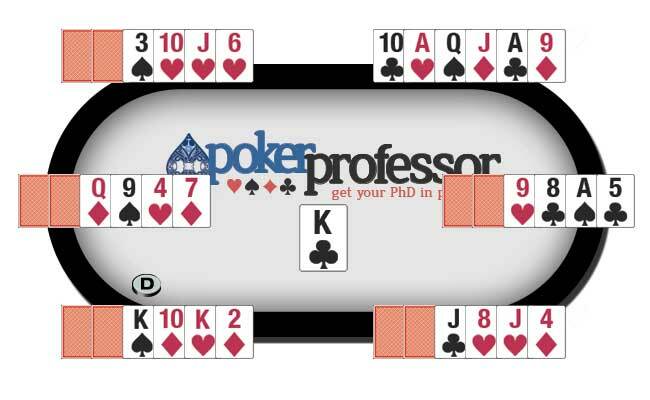 Note that the highest possible open hand at this point is a pair of Aces. Check: If no player has yet placed chips into the pot in the current betting round, you may check. This means you are not betting, but not folding either. 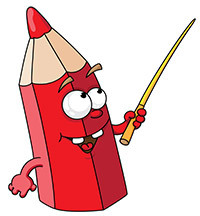 If another player bets after you have checked, you will need to call the bet or fold. Bet: The first person to place chips into the pot in a betting round is placing a bet. 5th Street: Each player is dealt a fifth card face-up, followed by another round of betting, same as the last and starting with the player showing the best hand from the three exposed “up cards”. From here out, all bets and raises must be equal to the high-end stakes of $2 (in a fixed limit game). A showdown only occurs if at least two people remain in the hand. If at any point during the hand, only one player remains in the hand due to everybody else folding then that player wins the pot there and then without the need to show his cards. When the showdown is reached, each remaining player will reveal their cards. and display their best 5 card hand. The player who can create the highest ranking 5-card poker hand from their own 7 cards wins the entire pot. If two or more players have the exact same winning hand (pair of Kings, 10-high straight, etc.) the winners will split the pot. When suit is applicable (Flush, Royal Flush, etc.) the highest suit rank wins, ordered alphabetically from Clubs (lowest), Diamonds, Hearts, Spades (highest). The hand rankings are the same as in Texas Holdem which if you have not already learnt which hand is better than another then please look at our Poker Hand Ranking Guide. There’s not enough cards! Okay, this is very rare, but yes it is possible to run out of cards before all hands can be completely dealt. If this actually happens, the final 7th card is dealt as a community card. This means a single card is dealt face-up in the center of the table for all players to use as their final card. 7 Card Stud High Low, sometimes referred to as 7 Card Stud “8 or Better”, is a variation that splits the winners pot into two equal parts, which are then awarded to the best high hand and the best low hand. It adds an extra dimension in that you are actually trying to make two different hands both at the same time and with the same cards. Hi Lo is played in exactly the same way as the regular version of 7 card stud detailed above, with the exception of the pot being divided between the best high and low hand at the showdown. To win the High Hand portion of the pot, you must create the best high ranking hand as per usual. To win the Low Hand portion, you will have to present a separate hand using the same seven cards dealt to you which qualifies as a low hand. The theory is quite straight forward, but in practise it can be a little more confusing. You should ensure that you have a good understanding of both the high ranking hands and also the low ranking hands and what qualifies as a low hand in 7 card stud. must contain no pairs (or trips, or quads). Aces are always counted as low in a low hand, and straights and flushes, are not considered combinations and are ignored. Because of the heavy restrictions on the low Seven Card Stud hands, any player unfamiliar with how to play is strongly encouraged to practice a few hands before placing any real money on the table. The winner of the high hand is awarded half of the pot. The winner of the low hand is awarded the other half. If no low hand qualifies (remember “8 or better”), the high hand winner takes the entire pot. 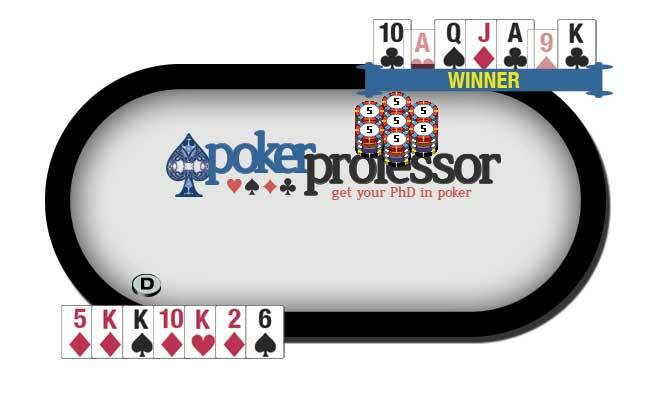 It is possible for the same player to win both the high and low hand pots. You can use different cards from your 7 cards for each of your high and low hands. so when you are staking your claim to each pot you are usually submitting two different best hands. You can view both the high and low poker hand rankings here, but again remember that in Omaha Hi Lo, your low hand must qualify by being “8 or better”. Where to Play 7 Card Stud? We recommend 888 Poker for a great place to play 7 Card Stud. 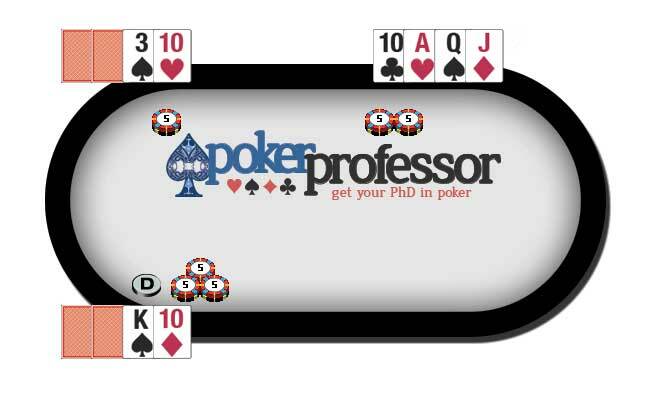 To find out more about them see our 888 Poker Review or to see alternate rooms to play 7 Card Stud then see the Professor's reviews in our Poker Reviews section.